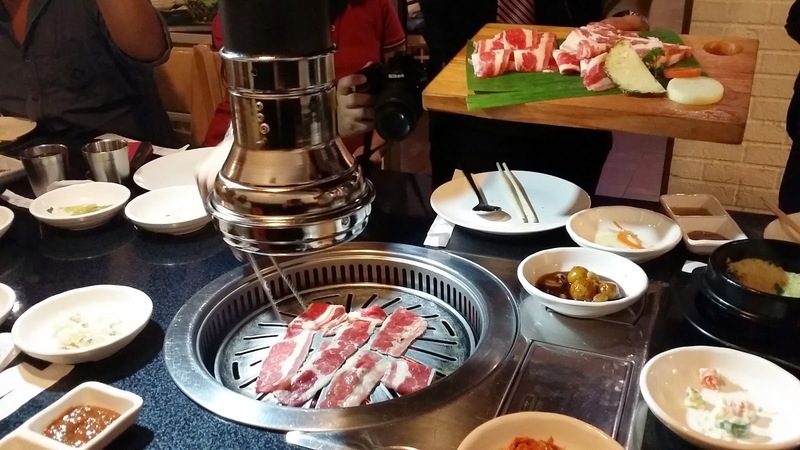 Korean "barbecue-ing" is a one-of-a-kind gastronomic adventure. Meaty pork, chicken, beef, seafood or even some vegetables are being grilled right at your table. A built-in gas or charcoal based grill is installed complete with an exhaust pipe, making diners enjoy the art of grilling and eating. A few months ago, I watched a movie called "Chef", an American comedy-drama film produced, directed and starred in by Jon Favreau. It was a story of a top chef who quit his high-paying job in a posh restaurant in LA, and started a food-truck business, selling.... guess what? Cuban sandwiches. Trambia cruising along a picturesque coastline. 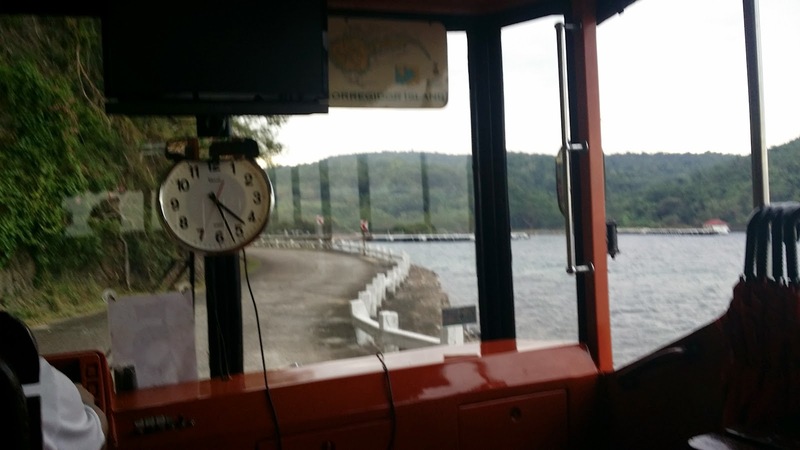 For the first time ever, I agreed to spend the night in Corregidor. I have been coming to this historical island for many years, but only to join the day trip tours. Craving for excitement and a new adventure, I decided to go for the overnight stay. I made the right decision. 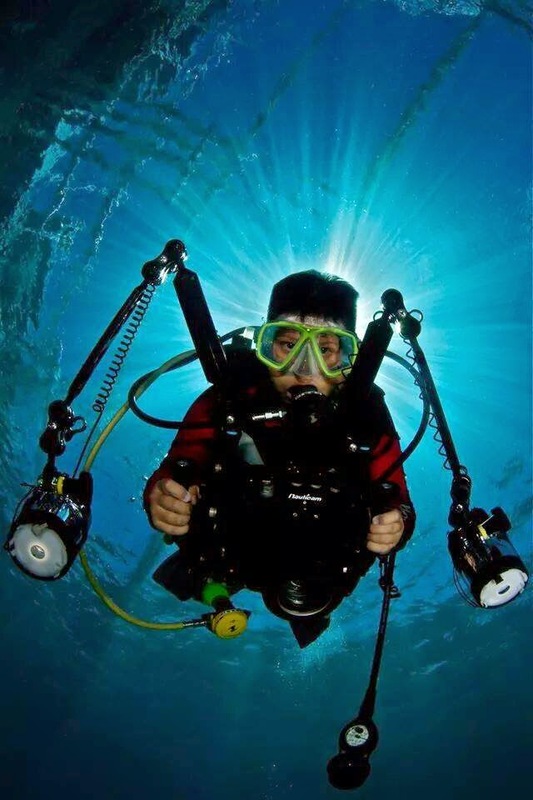 Scuba diving is one of my passions. 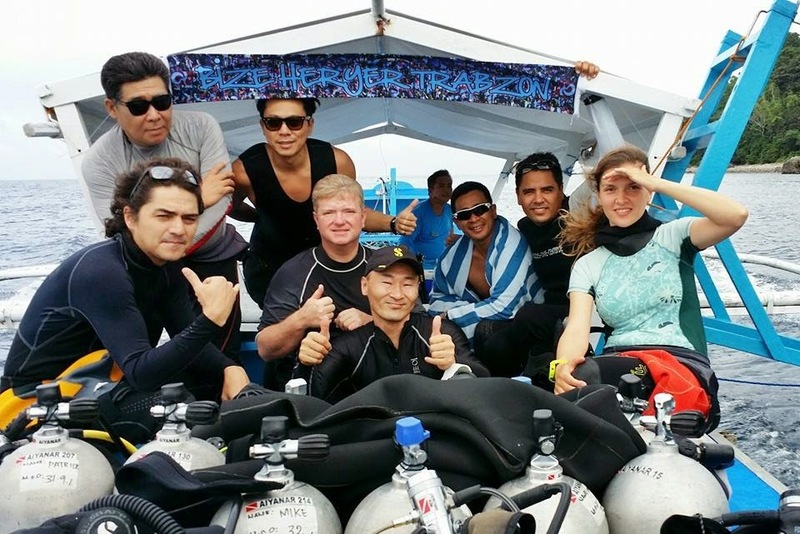 I discovered the underwater world for the first time in Cebu, during a Christmas vacation in 1998. Fast forward 16 years today, I may have countless experiences under my (weight) belt, but one thing I still dream of is to be an underwater photographer. 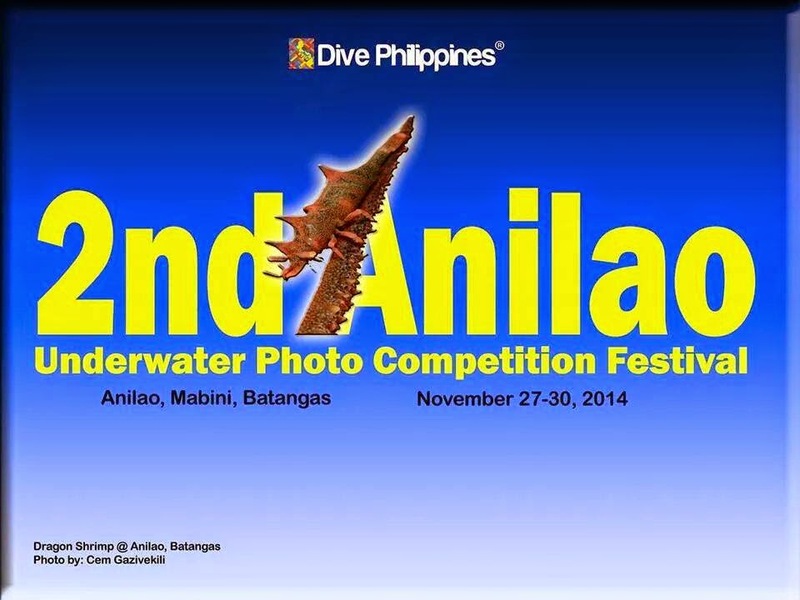 Shelving this at the moment, and looking up to others who take amazing photos underwater (I met a whole lot as a mermaid), I am gearing up for the surge of awesome underwater photographers from here and abroad, coming over to next week's 2nd Anilao Underwater Photo Competition Festival. Every third Thursday of November each year, millions of cases of Beaujolais Nouveau young red wine make their way down the hills in the French region of Beaujolais to the bars, restaurants and bistros across France. Not all cases are unloaded within French boundaries, as more will soon be opened in other parts of the world. 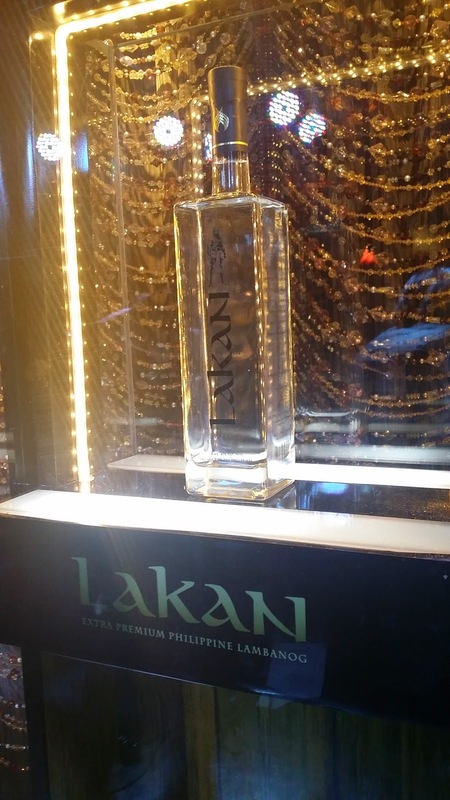 Named after a warrior-ruler who embodies strength and nobility, Lakan - Extra Premium Lambanog, is the multi-stage handcrafting of coconut nectar into liquor. But more than the ordinary lambanog, Philippine Craft Distillers, Inc. (PCDI), is proud to announce Lakan, a liquor of true Filipino spirit, ready for the world to indulge in. 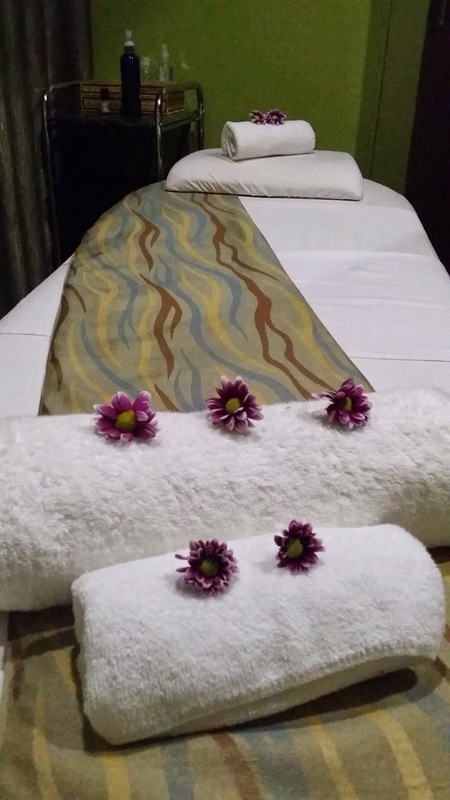 Filipino hospitality is renowned worldwide. We cherish family customs and traditions that are uniquely Pinoy. Family relationships are the building blocks in our community, making our culture endearing to the world. 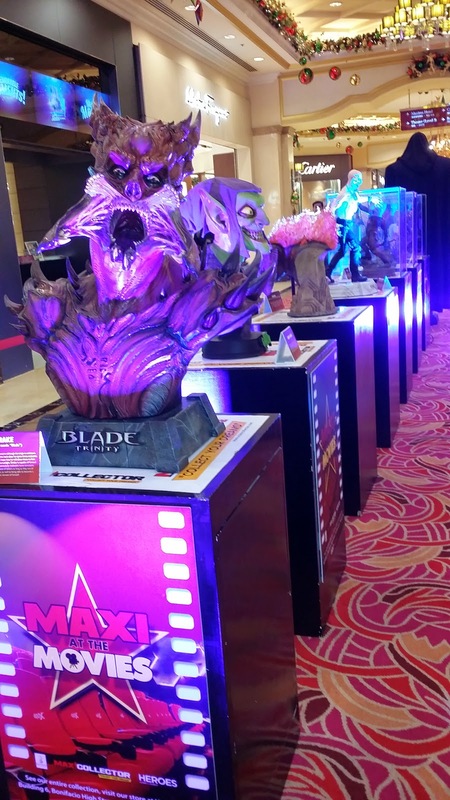 The spirit of Halloween is well, and hauntingly alive at Resorts World Manila, the country's first and leading tourism and entertainment hub. 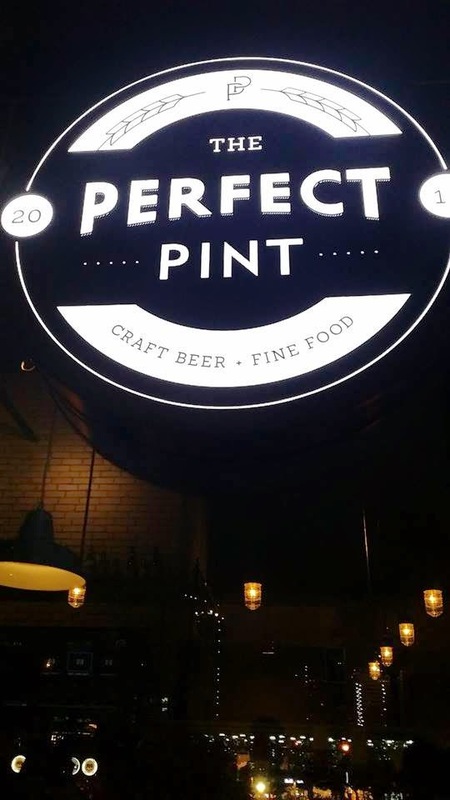 The Perfect Pint Gastro-Pub is currently presenting the first and only Craft Beer and Food Pairing Showdown in Metro Manille, and I enjoin them in inviting everyone to find their perfect match. I am re-discovering Pan Pacific Hotel Manila .... and I am glad. The last time I was here was some years ago, when I used to book our corporate guests wanting to be in the middle of bustling Manila. It was a good choice, then and now. (l-r) Le Cellier's Bernard and Jorinda Flour, Chef and Owner of Alchemy Ms. Tina Moscardon, et moi. The merry-month of October has seen a lot of festivities that are more special and better than the ordinary. 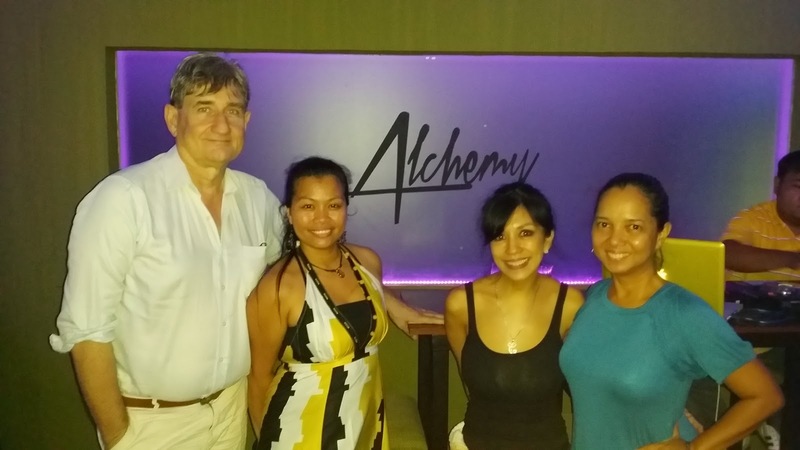 True to their joyful spirit, the Belgian-Filipino Business Club in the Philippines recently held an October Happy Hour at medieval-like resto-bar Alchemy, which is located on Durban Street, Bel-Air Makati. A vOffice or virtual office is actually not found in cyberspace, rather, it is a physical office a businessman or entrepreneur can go to. 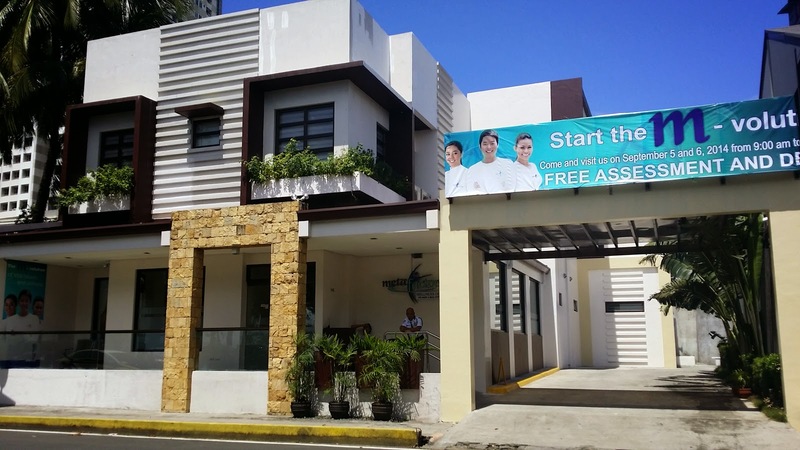 For as low as 700 Pesos an hour rental fee, you have a meeting room good for eight people. 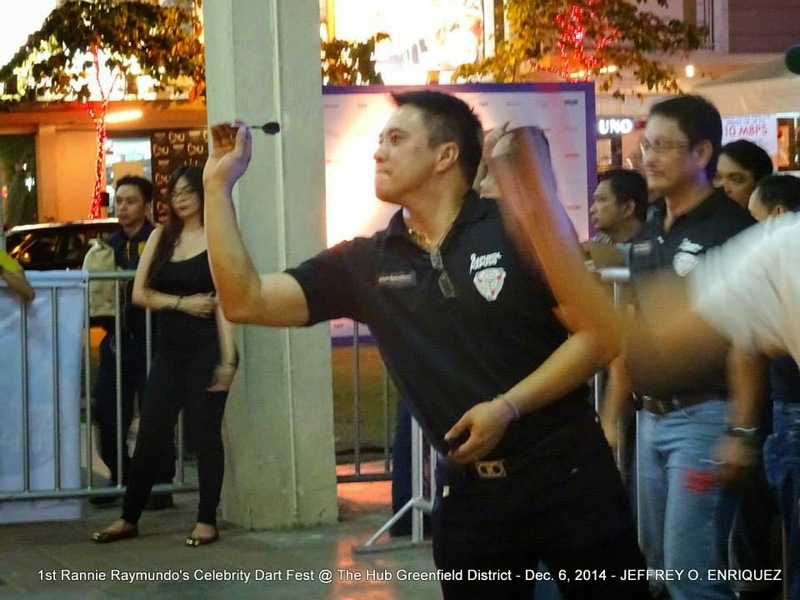 (L-R) Richard Reynoso, Rannie Raymundo, Renz Verano and Chad Borja. I have to admit, my smile never went away in the almost two-hour-and-a-half duration of the show. 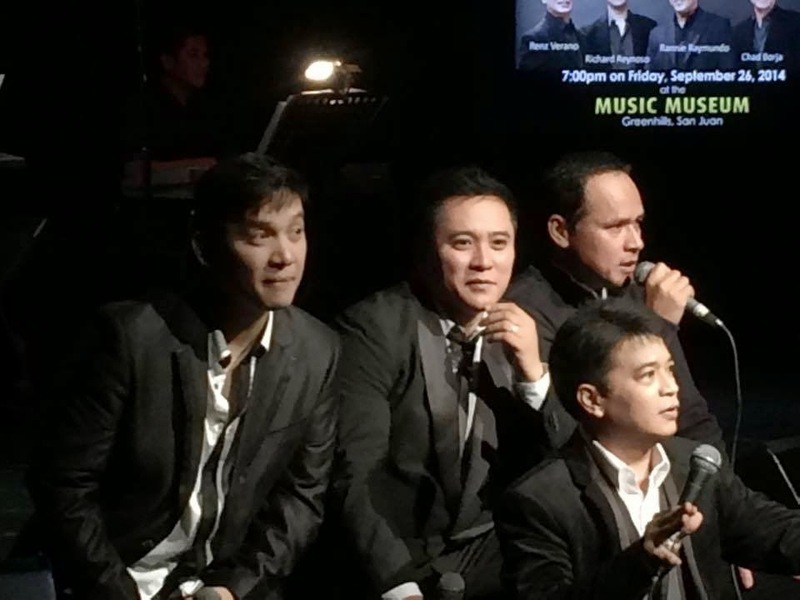 I was laughing and smiling and cheering and clapping..... and believe it or not, "singing" to familiar songs I grew up with, like "Friend of Mine", "Don't Know What To Do", "Bituing Walang Ningning", and more. Okay, okay, maybe for most part, I was giggling for the "kilig" songs performed by the still very handsome young men. But hey, I think I can do that for another 2 hours for as long as Richard Reynoso, Rannie Raymundo, Chad Borja and Renz Verano were on stage. Don't panic, it's organic! Going green is not as difficult and boring as it seem. This was proven by resource speakers, sisters Jaclyn and Jertie Abergas, together with Angelo Songco, during the recent sneak-preview of their upcoming organic preparation workshop at the Sugarleaf Makati. Holistic Health (or holistic medicine) is, according to the Wikipedia, a diverse field of alternative medicine, in which the "whole person" is focused on, and not just the malady itself. Growing up, I have visited Intramuros a number of times as I would join my mother take her foreign guests to this famed walled city. I have always been intrigued with Philippine history, from the colonization of the Spaniards, to the events that folded during World War II. There was so much to grasp in my then very young mind, but thanks to the existence of Intramuros, I would imagine how it must have been during those times, with this city within a city at the center of them all. Do you love books? Would you prefer reading e-books or physical books? In today's internet era, we sometimes wonder if children still go to the library, appreciate books, borrow them and actually read them at home. 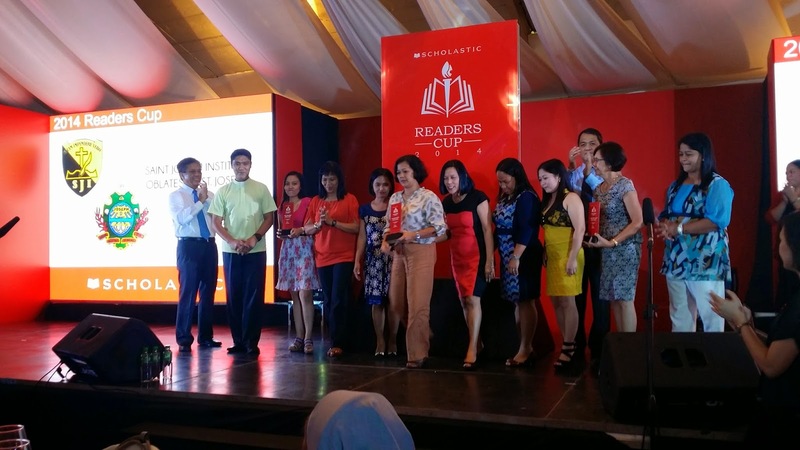 Is the term "bookworm" still applicable to children and teens born in this millenium? The country takes on a new challenge this year, as Air Sports Adventure Philippines (ASAP) sets in motion the history of Philippine aerial sports with the the 1st International Paragliding Accuracy Championship (IPAC 2014). 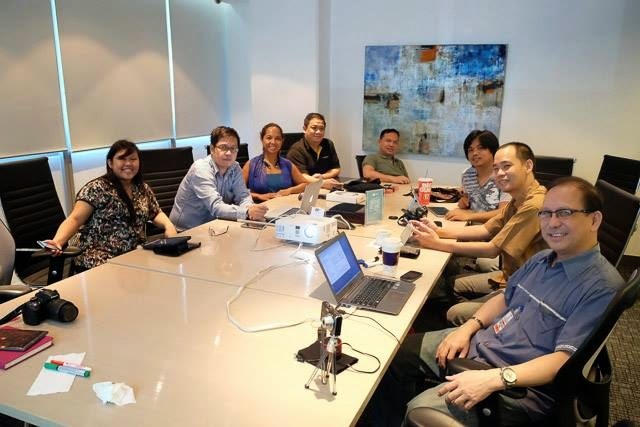 Paragliding pilots representing more than 11 counties around the globe will be flying down to Sitio Seguil, Bgy Tinoto, Maasim in Sarangani Province for this much anticipated event set on August 22-24, 2014. PBNet enjoys vOffice facilities during membership meetings. Many modern entrepreneurs work virtually, meaning, doing business mostly using the internet and is always mobile, connecting to clients and products in cyber space. In today's world where one can do business from home to anywhere in the world, having a base office that one can go to say once a week or just to meet clients in a corporate environment can come in handy. 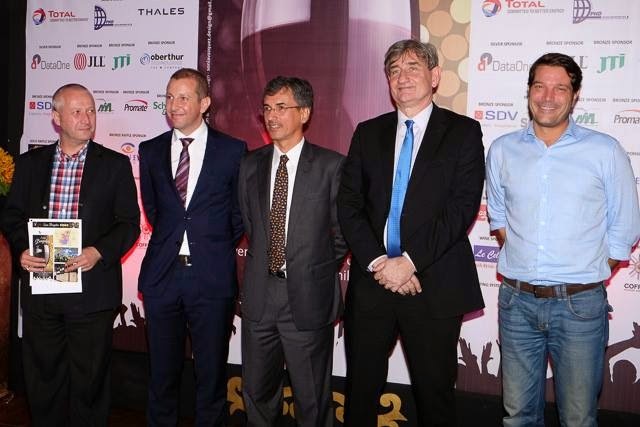 Present during the Resorts World Manila Masters 2014 launch were (from left) Manila Southwoods Golf and Country Club Chairman Bob Sobrepeña, Resorts World Manila Chief Operating Officer Stephen Reilly, Asian Tour Chairman Kyi Hla Han, and 918.com Marketing Director Maideline Aure. Golf, anyone? With a million dollar prize like that, I wish I knew how to play golf, and be a "master" in this sport. 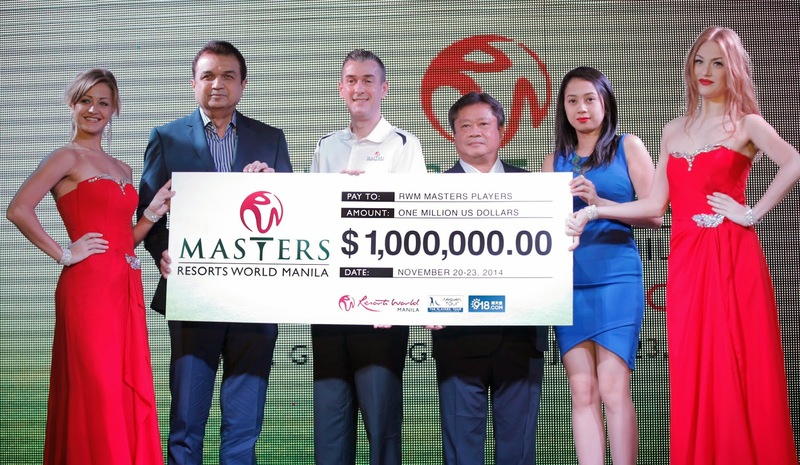 Now on its 2nd year, the Resorts World Manila Masters 2014 will take center stage on November 20 to 23, 2014 at the prestigious Manila Southwoods Golf and Country Club. 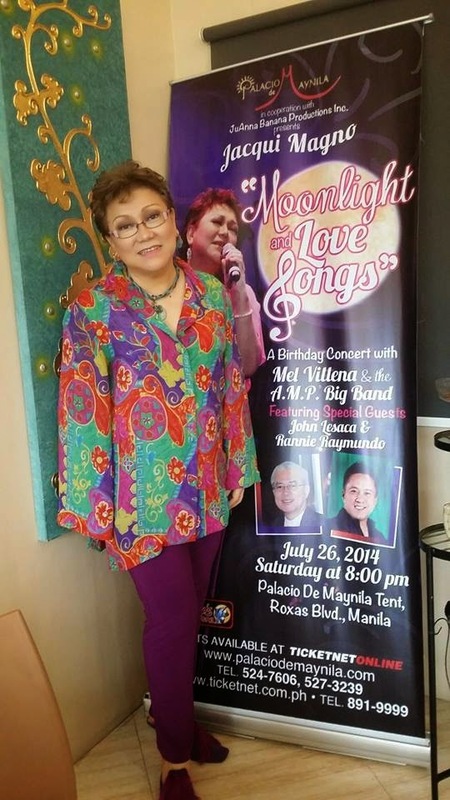 It was a privilege for me to join Ms.Jacqui Magno over lunch at Martinilly's for an "intimate" interview about her upcoming birthday concert, "Moonlight and Love Songs," which will hold center stage on July 26, 2014 at the Palacio de Maynila Tent along Roxas Blvd. Malate. Show starts at 8 PM. 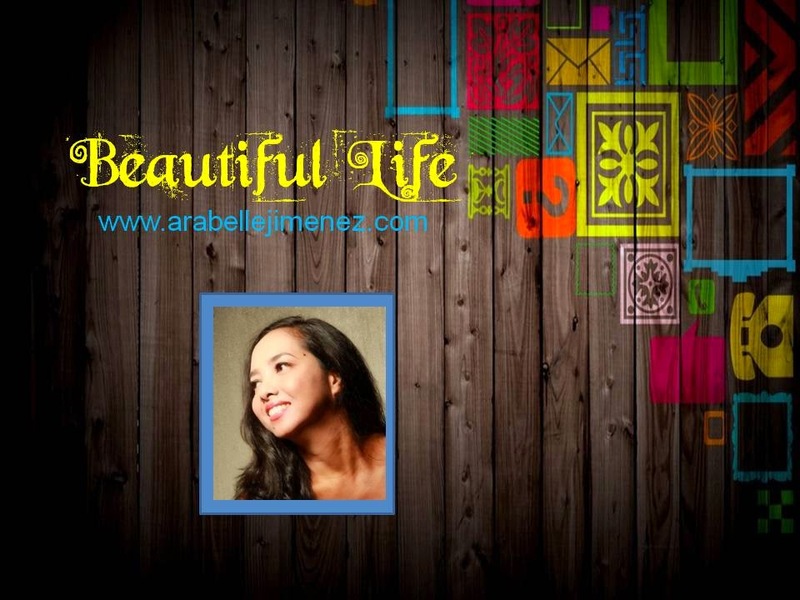 Spanish cuisine has a lot of influence in Filipino cooking, a fusion of two not so different cultures. Rice, being the most basic among them, most Filipinos cannot last a day without eating this grain, whether it be brown, white or red. 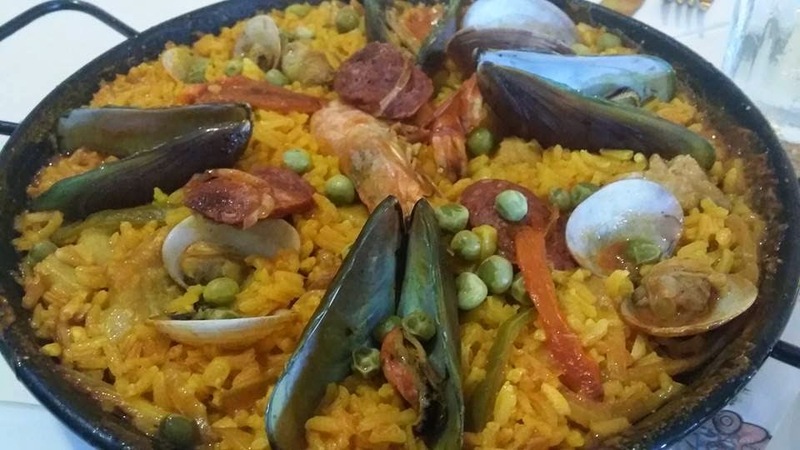 True to form, a paella dish is a favorite, a big hit to each Filpino. This place breaks the myth that healthy and organic food are tasteless. 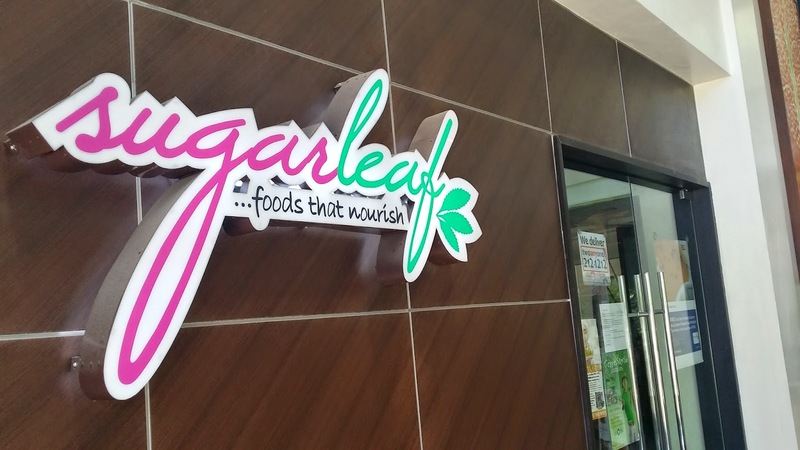 The dishes at Sugarleaf makes one forget that he is actually eating healthy, simply because the food tastes good. 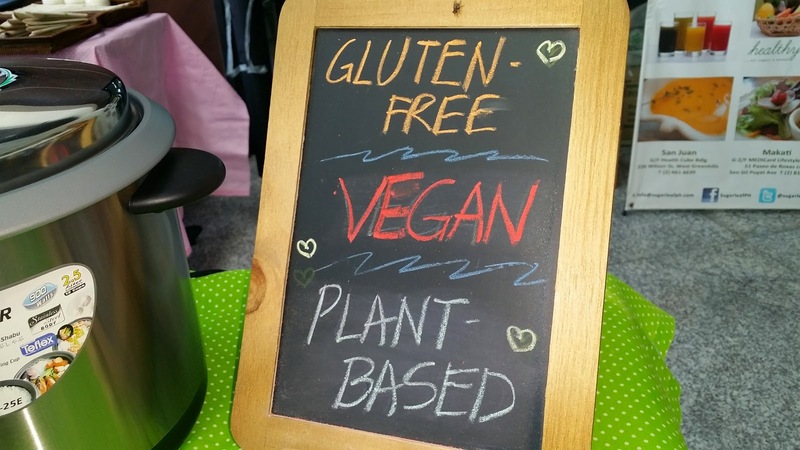 I am so happy to discover a place where they serve gluten-free, sugar-free, dairy-free meals, snacks, desserts and shakes. The most sumptuous hotel buffet and the biggest array in Asia is found in the Philippines. Top that with the finest wines to pair each dish, and you've got the most amazing dining experience. 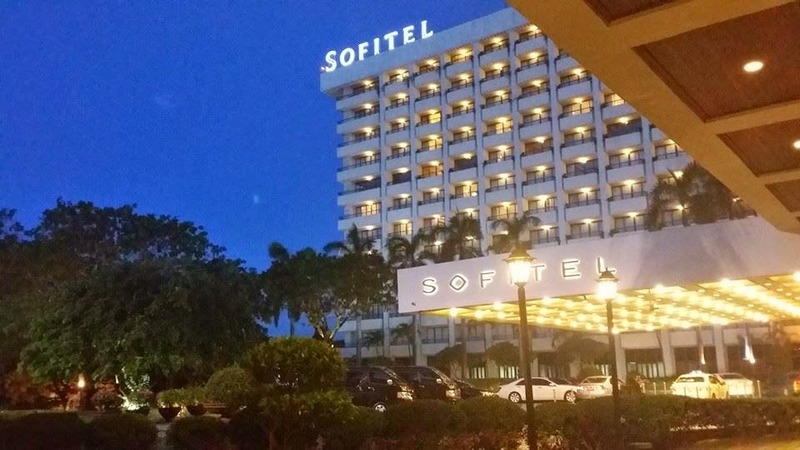 Spiral's La Veranda is located at Sofitel Philippine Plaza, a luxury five-star hotel by the spectacular Manila Bay. 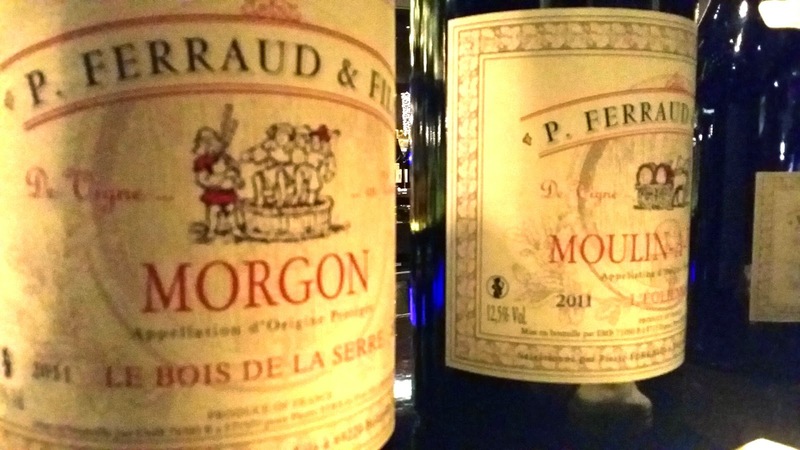 French based Sofitel, in partnership with Le Cellier French Wine Selection, recently held a wine-pairing dinner, featuring wines from the vineyards of Fournier Pere et Fils from the Loire Valley in France. Guest of honor was Monsieur Claude Fournier, who graced the occasion, bringing with him wines directly from his family-owned vineyards. The internet and mobile landscape is developing in such a rapid pace, it’s like melted mercury that seeps in the corners of every country in the planet. In this digital age, internet and social media users increase in number every second, thus making online publishing and digital marketing a very effective communication tool for an individual, company and organization. The publicity is immediate, viral, and the reach is unlimited. I believe all of us should maintain our child-like characteristics. It is a source of positive attitude and inner happiness, which makes life more rosy. But there really is a culture of toy collecting and a popularity in gaming, cosplaying and comic book collecting, It is a whole new level altogether. 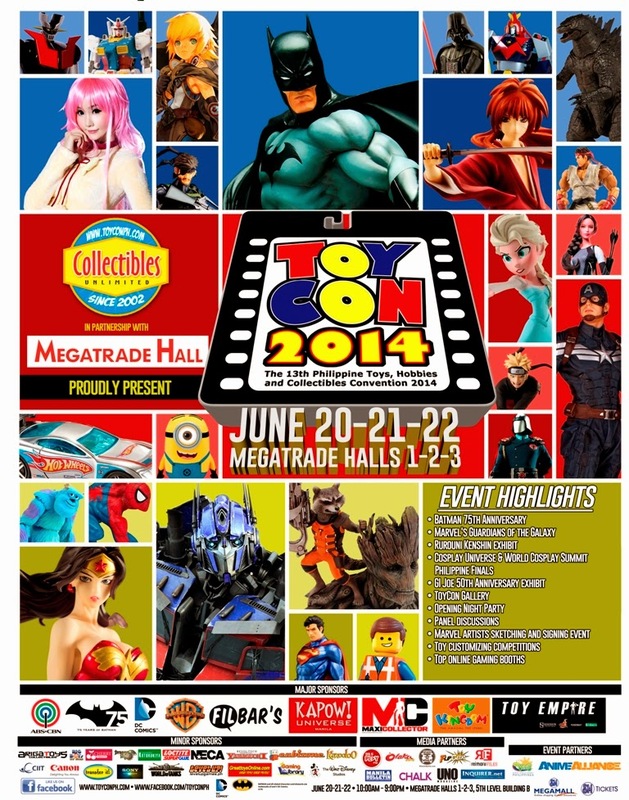 Thus, pop-culture events are cropping up in the Philippines, and the TOYCON is now on its 13th year. WAGYU STRIPLOIN, GRADE 9. 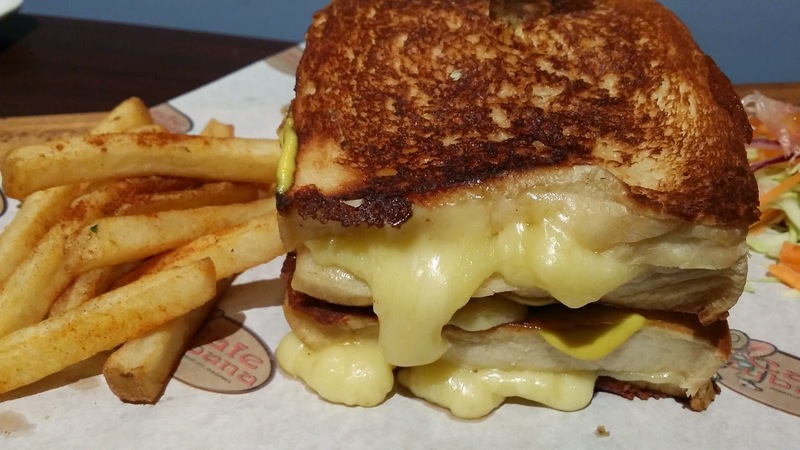 MELTS-IN-YOUR-MOUTH GOODNESS! There is only one name that is a cut above the rest when it comes to premium steaks.... Carmelo "Melo" Santiago. The founder of Melo's Chain of Restaurants since 1988, he is undisputedly the country's Godfather on everything and anything "steak". 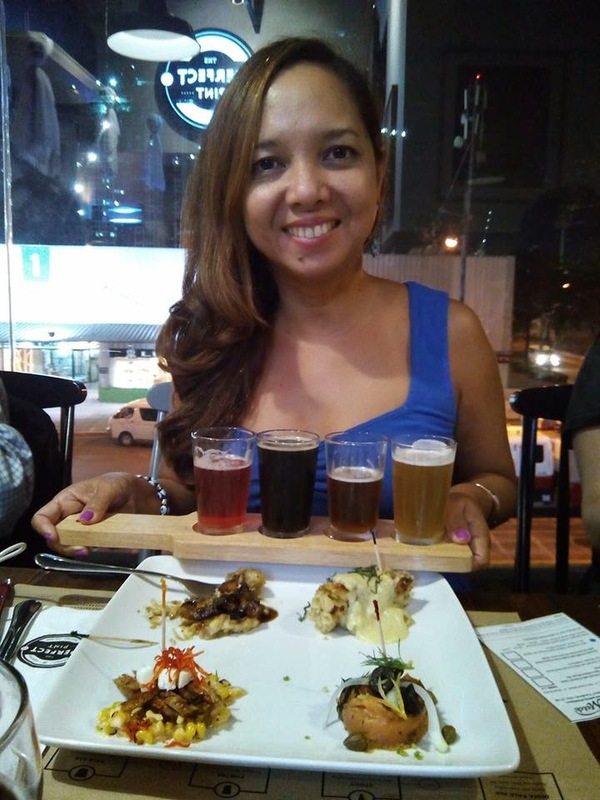 Pioneering wagyu steaks in the Philippines in 2007, his eldest daughter, Chef Cristina Santiago-Rivera is at the helm of the latest go-to-wagu-place in the country, aptly called CARMELO'S WAGYU STEAKS, located at the garden level of Greenbelt 5, Makati City. Mermaids and dolphins love each other. It is a statement proven when I went to participate at Project MOM: Mermaids On a Mission, during Mother's Day weekend in Subic. 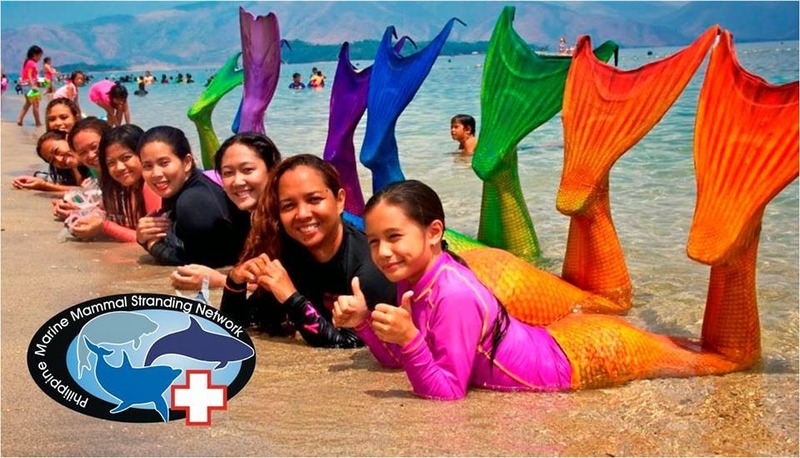 As a Mermaid Swim Coach, this is a very meaningful activity for me, because not only did I swim with dolphins, but together with fellow mermaids, helped raise funds for the sick, wounded and stranding marine mammals. Craft beer is here! A revolution in appreciating pale ales is happening in Metro Manille. 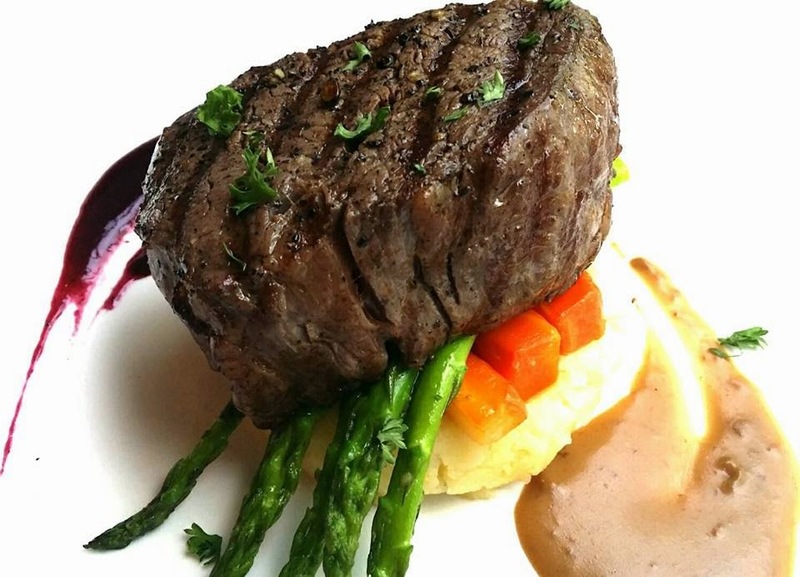 Top that with fine food, and you've got a dining experience that is truly enjoyable to the palate. What comes to mind when you hear anything French? Is it food, their culture, or the arts? All of the above? Yes, it is possible. Because all three .... food, culture and the arts can be found in one place, not in Paris, but right in the heart of Makati! 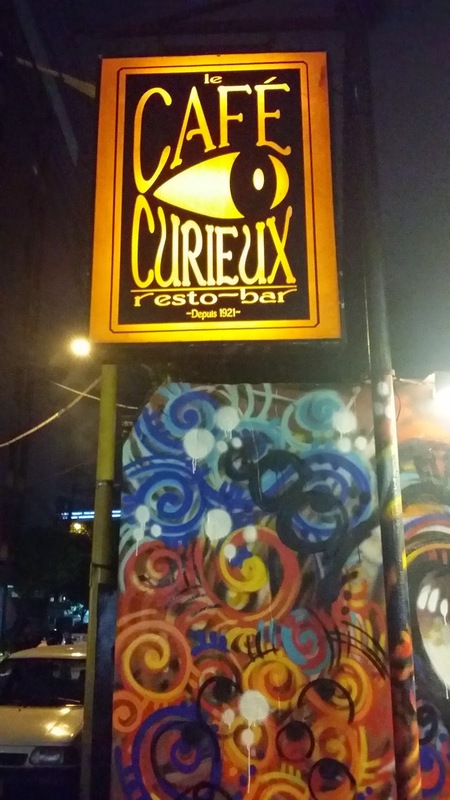 LE CAFE CURIEUX (kyur-i-u), in English meaning the cafe of curiosities, is a hole-in-the-wall authentic French restaurant located in between Polaris and Burgos Streets. 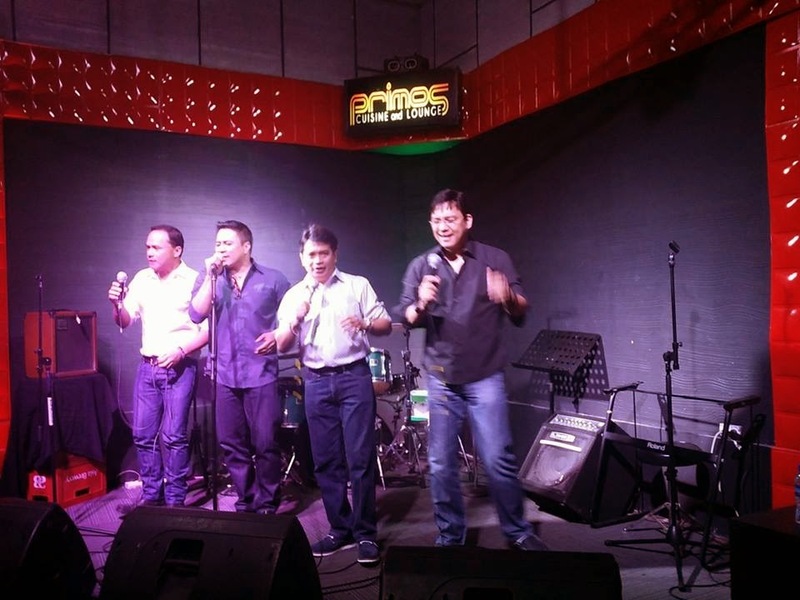 with guitarist Angelo Garcia, drummer Benzon Ang, bassist Eric Jodloman and keyboard player Rey Infante. "Yes, it really is her! ", I said to myself when I spotted her at Primos Cuisine and Lounge. 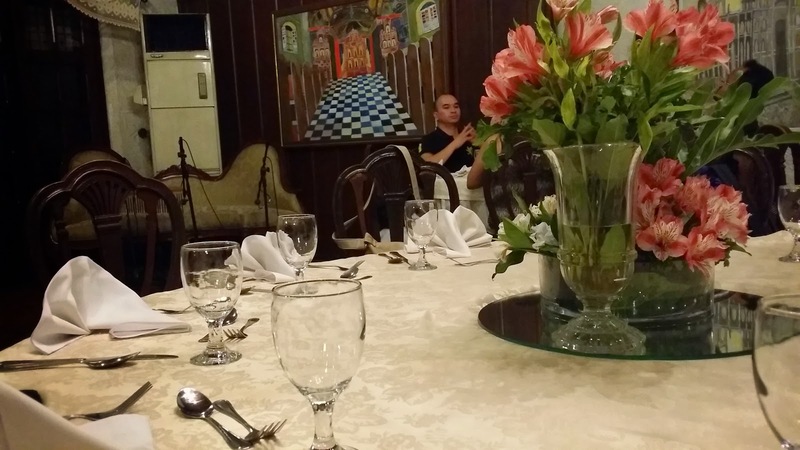 THE Ms. Jacqui Magno, Philippines' Queen of Jazz, and multi-awarded jazz artiste, was seated several tables away from me. I first came across Ms. Magno back in 1988, when I was part of a concert at the Araneta Coliseum, as a (then) young jazz dancer, under the tutelage of Douglas Nierras. But that was like almost 26 years ago! Now, by fate, I was excited to hear her beautiful voice once again. I have always been a fan, ever since I heard her song, "Capture the Changes," written by Boy Katindig. 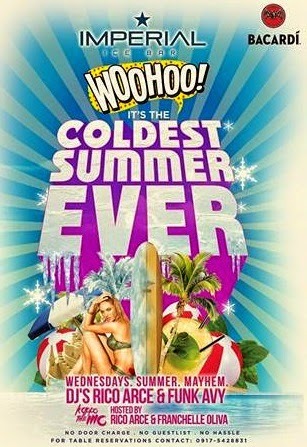 It may be in the middle of the summer season right now, but you can have a taste of icy partying every Wednesday night at Imperial Ice Bar! For a moment there, I thought I was transported to Russia. One literally enters a room made out of ice, complete with a bar and blocks of ice as bar stools. Of course, coats are provided at the door in this sub-zero climate. I was told that the best drink to order is a Bacardi vodka to warm up the blood. Now, this is what I call chilling! 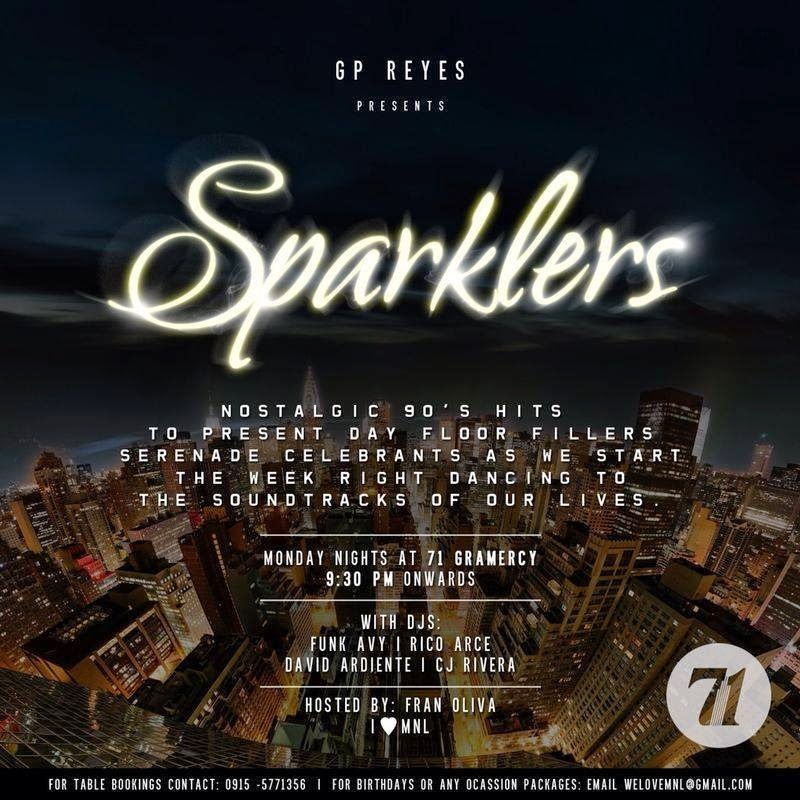 Everything seems to be shining... and sparkling on the roof deck of 71 Gramercy, the hip new club to hit Metro Manille. 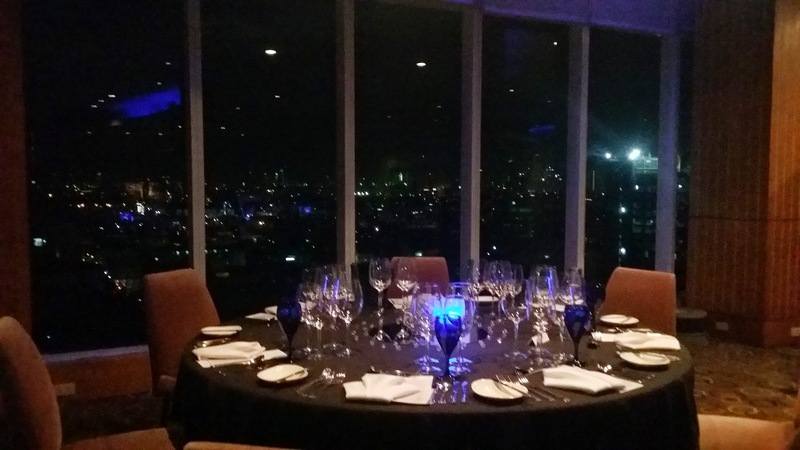 The club, located on the 71st floor of Gramercy Residences along Kalayaan Avenue, Makati, is a dizzyingly new hangout place to wine, dine and dance! 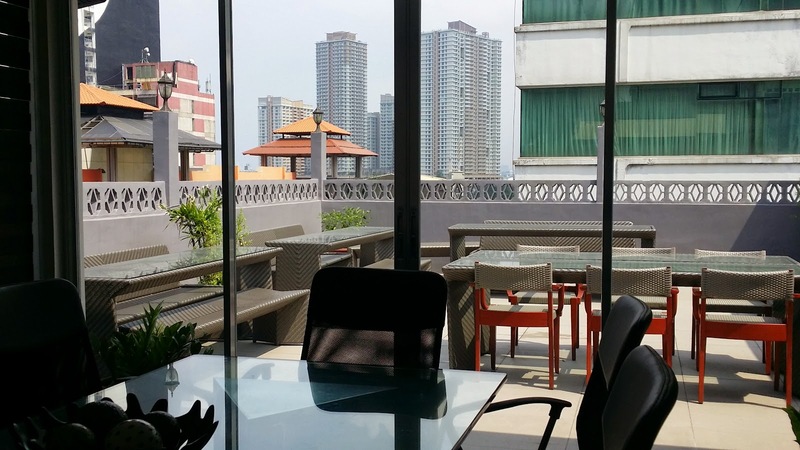 It has three sections; the fine-dining area, the luscious lounge with leather sofas, and the cool roof deck over-looking a great sparkling view of the city as far as the human eyes can see. When was the last time you attended a show and sang along with almost every song performed? That is what happened to me when I watched The OPM Hitmen live.... not only once, but twice! 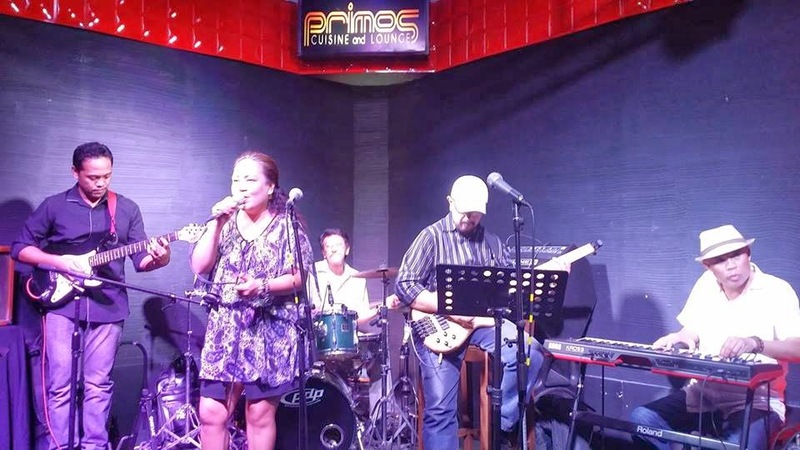 I watched them at the Music Museum last February for a pre-Valentine show, and lately, at Primos Cuisine and Lounge in Greenfield District, Mandaluyong City. A "melting pot" is a metaphor for a society where many different people of various background come to live in a place to form a community, and function as one. 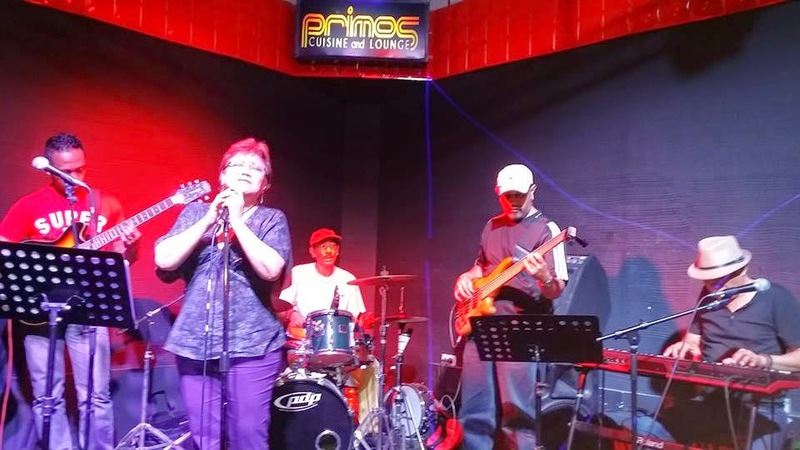 This best describe the atmosphere of Musician's Night happening every Monday at Primos Cuisine and Lounge! 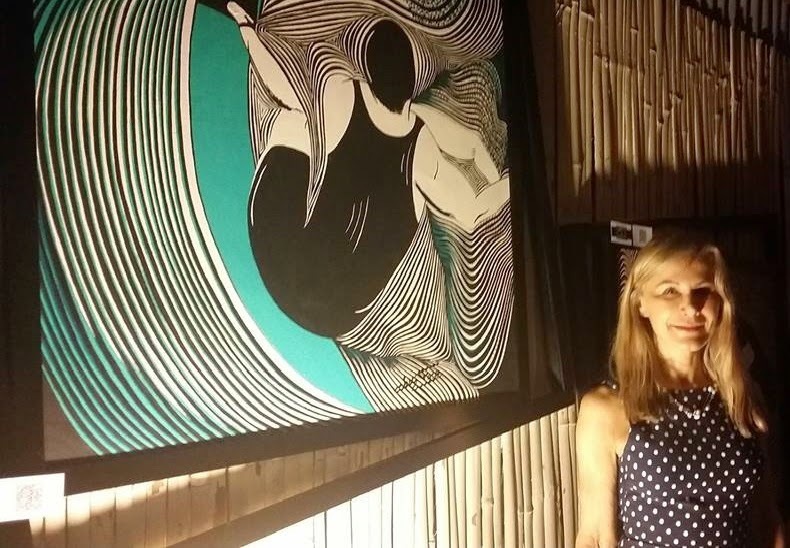 The resto-bar, which opened in October of last year, has a steady growth of patrons, many of whom are becoming regular customers, thanks to good food, good company and great music! Brasserie Ciçou, one of the most beloved French restaurants in Metro Manille, has found its new haven in the heart of Greenhills, San Juan. 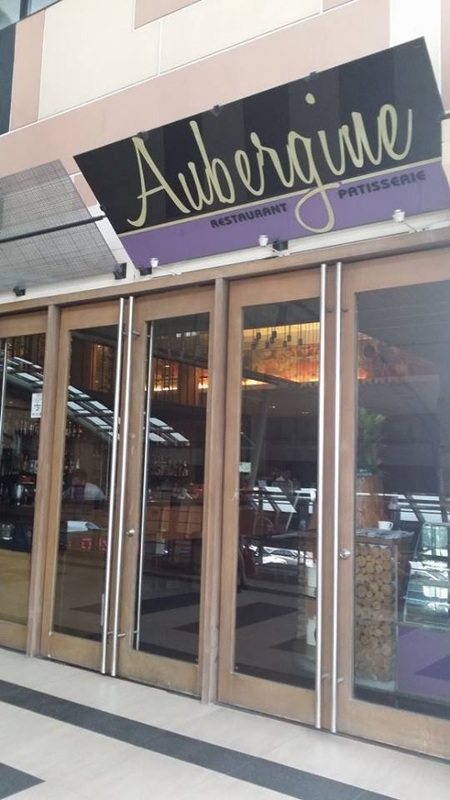 Formerly located in Pasay Road, Makati, gastronomic fans of this establishment would trail them anywhere they go, no matter what. The reason is simple. La nourriture est magnifique et delicieux! 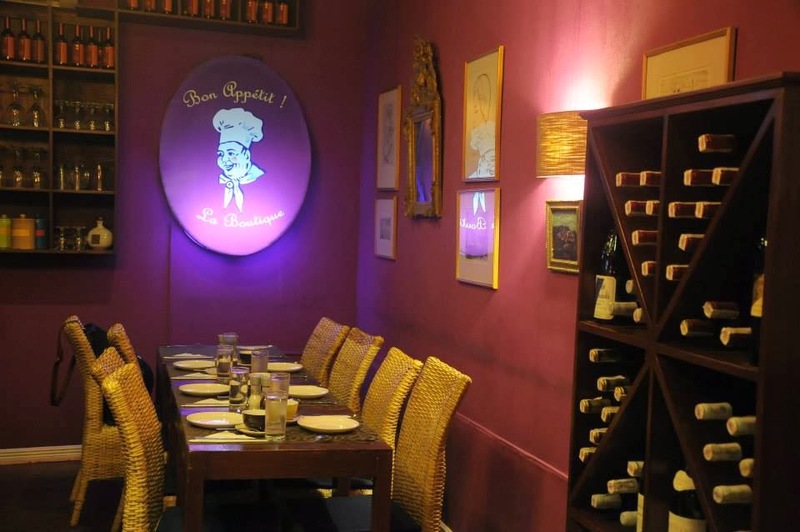 Aubergine is one of the first few restaurants established at The Fort a little over 10 years ago. Inconspicuously located above the more visible McDonald's across St. Lukes Hospital, many would pass by this corner unaware of the thriving restaurant frequented by expats and Filipino businessmen alike. Owner and Chef, Hans Schallenberg, a German national, also runs a school, teaching Filipinos international Culinary Arts. Explore the Philippines’ countryside charm and cultural gems through driving at the first Asia Pacific Drive Tourism Conference, Auto and Travel Show scheduled at the Subic Bay Exhibition and Convention Center, Jan. 29 to Feb. 2, 2014. Le Cellier says Bon Appetit! One of the Philippines' premier wine stores, Le Cellier French Wine Selection, partners with Resto Bon Appetit! 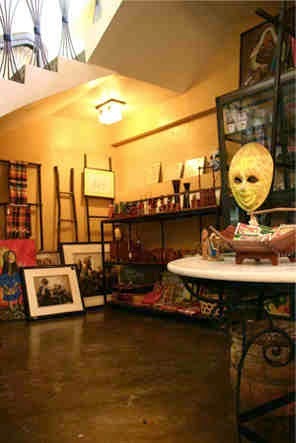 La Boutique, a hip French restaurant in the heart of Davao City.